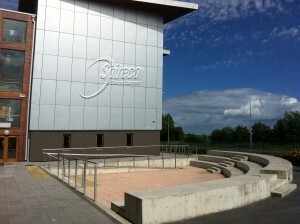 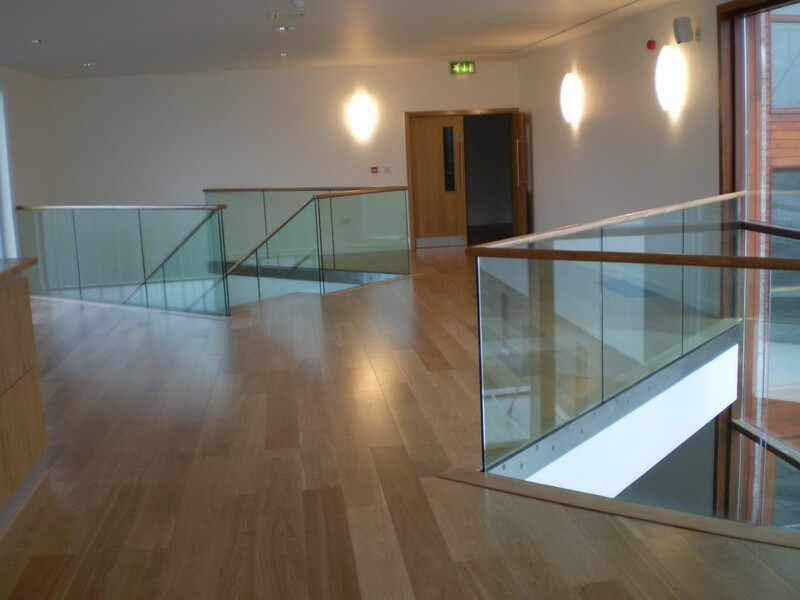 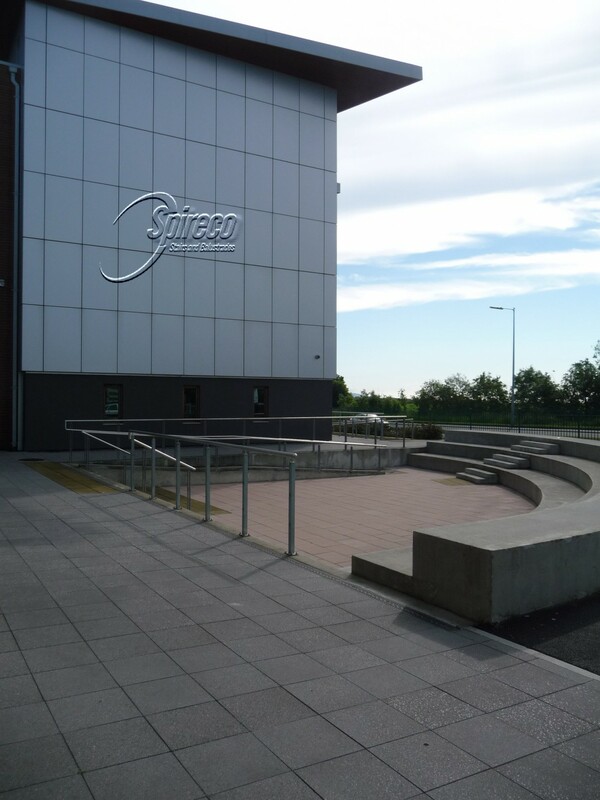 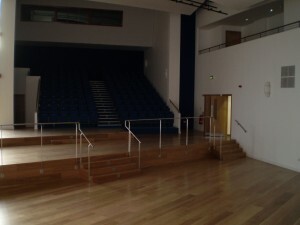 Spireco were commisioned by Deaton Lysact Architects, to supply and install a variety of Glass, Stainless Steel & Oak Balustrades and Handrails to The Feature Reception Stairs, Five Stairwells, the Theatre Area, the Roof, the outdoor Amphitheatre and a number of Ramps, at the ‘Clasac’ Arts Centre. 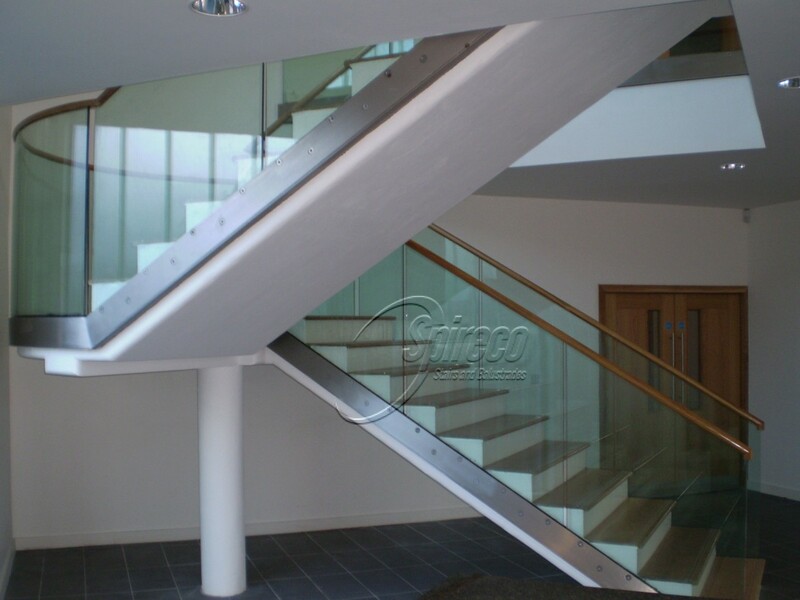 The Reception Stairs features 18 mm thick Toughened & Laminated Glass (Curved at Landing) Countersunk Bolted to the Stairs through Stainless Steel Plates. 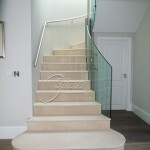 A Round and Slotted American White Oak Handrail sits over the glass panels and is continuous on the stairs Glass, around the semi-circular landing Glass and along the Mezzanine floor edge Glass. 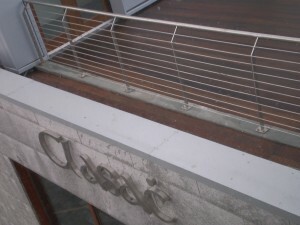 Laser cut, Marine Grade, Stainless Steel Posts support offset, Tubular Handrail and Stainless Steel infill Rods form the Balustrade (& Gate) to the Roof area. 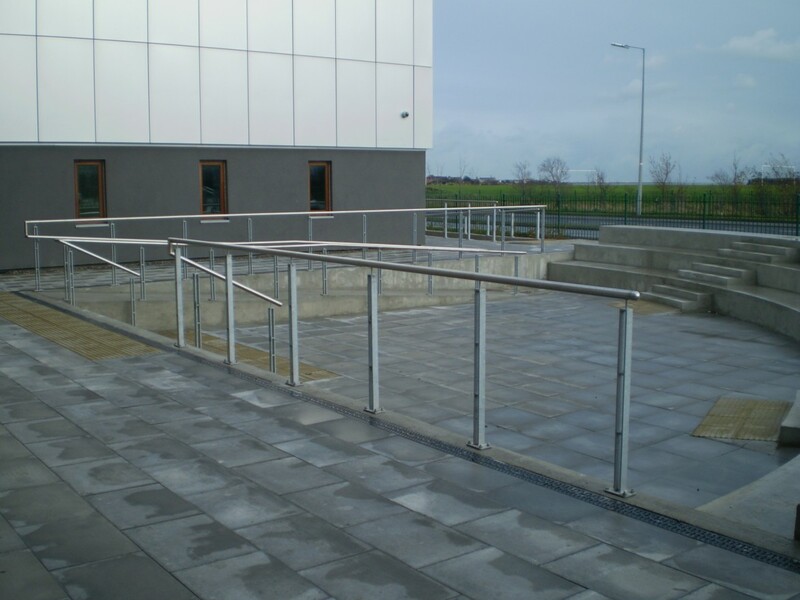 Externally, the sunken Amphitheatre has Balustrades formed with twin steel fin posts – Galvanised supporting top (and mid at ramps) Tubular Stainless Steel Handrails. In the Theatre, Stainless Steel ‘Fin’ posts and non-standard 30 mm Dia. 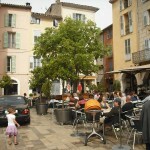 Stainless Steel handrails were used to maximise audience views.